​Is history still in the past, or is it our future? ​The month of October marks the beginning of many things: school, the all-important and long awaited Halloween parties and the first Christmas jingles grace our radios. But what else does the month of October stand for? Just yearly celebrations and everyday life? No. October stands as a time in which we reflect on our history and the suffering of innocents. Its Black History Month (BHM). 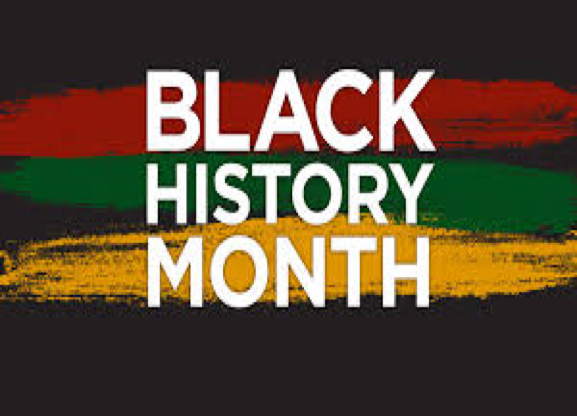 Black History Month is a period of time where we as a people reflect on our actions and the suffering felt by the black community due to the inequality and racism of the past. However, is it really all in the past? Because according to current political events and attacks, black suffering is still a very much present and a global problem. Therefore, in this time of need and distress, BHM should not only be used as a method of remembrance but also as a way of raising awareness towards the prejudice and disrespect inflicted upon black members of our current-day society, just because of the skin colour they were born with. This may seem like joke but it isn’t. How in modern society is there still such a lack of progress? We can jump leaps and bounds with the world’s super powers in technology, but we can’t guarantee people their basic human rights and respect? How are we still living so deeply in the past? This year in itself has shown that the black community have had to fight their way into the papers and on to news screens. They have had to fight for justice, when in reality justice should be given to them. Innocent members of society have been brutally killed by police. ‘Why?’ you may ask. Because they LOOKED untrustworthy. Crude explanations like this is what members of governments – especially in America – have been giving grieving parents, children and friends. Does the colour of a person’s skin define how trustworthy they are? These continuous and obvious prejudices have caused the supporters and members of the black community to take drastic action to get their voices and ideals heard. The ‘Taking the knee’ phenomenon began with Colin Kaepernick’s protest movement against police brutality against people of colour. He has now been joined by all types of celebrities and athletes. These athletes believe that it is their duty to use the privileges and stages to protest and speak out for those that are not being heard. There has been much controversy over these actions as many politicians and NFL fans believe that sports and politics should be kept separate. But is there really such a reason to postpone the fight for equality and to raise awareness for the innocents that have lost their life’s, such as - Jordan Edwards, 15, who on the 2nd of may 2017 was tragically shot by police? With all of these tragic and yet current events happening around the world, we should be using this month of October to really bring awareness to the inequality and injustice. This month is not just another month in the year, it’s a time to break free of the mould and do something that will make an impact and create change for the better. So use the voices you have been given, and be the generation that puts an end to the tyranny and injustice.